eXplorance, a company that assists organizations in developing a culture of improvement, has formed an alliance partnership with Canvas from Instructure to integrate two learning experience management (LEM) solutions into the latter’s learning management system (LMS). Through the Blue and Bluepulse 2 embedded integration with Canvas, students, faculty and administrators can access feedback and assessment tools in one place. The Blue evaluation system uses automated process tools to assess needs, skills and competencies for learners, reducing administrative burden. 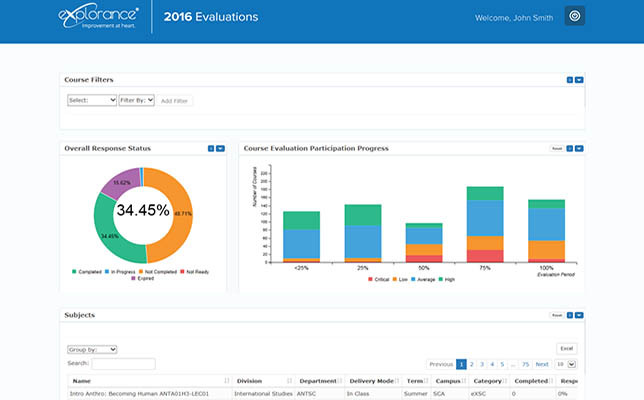 It includes applications for course and instructor evaluations, stakeholder surveys, adapted insights and more benchmarks. Bluepulse 2 is a live formative feedback platform that offers a confidential two-way communication channel between students and instructors to speak candidly, helping improve student engagement and retention. The integration gives Canvas users the same familiar dashboard, calendar, course listing and notification system, according to a news release. They can fill out eXplorance forms inside the LMS interface, mobile applications or browser. A video explaining LEM solutions can be found below. To learn more about the alliance, visit the Canvas site here.